Whether you are a priest, choir director or church leader, you may feel that cassock robes are important for your choir or leaders to wear. You may choose a cassock to represent a celebration or for weekly services. 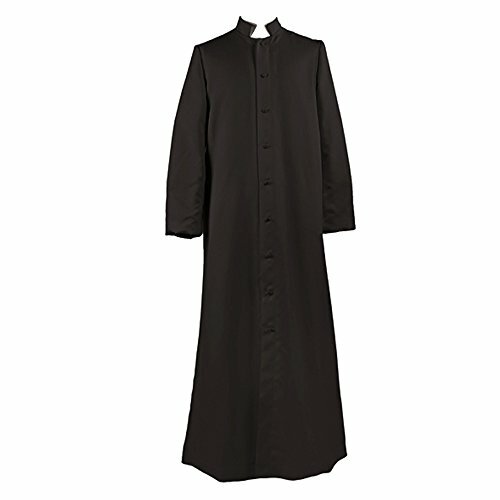 IvyRobes offers you a variety of quality cassocks, shirts, robes, and accessories that are affordable and are in stock for expedited orders. There is something about the unity that appears when everyone in your choir or your elders wear garments that show honor. Cassock robes give you the uniformity you need to worship and teach without being judged by others. In today's world, many people judge you by the clothes you wear or where you live or what you drive. However, in church, you are to be a people of equals. You are there to worship and serve the Lord through song, prayer and teachings. You are there to pray together, serve together and love God together.